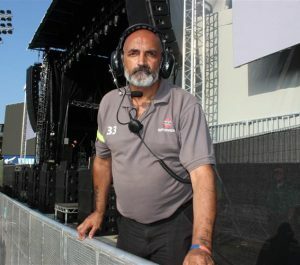 Also known as “Pit” Safety, this specialised role is essential to maintain artists and stage security, whilst providing a visual security presence. Standing concerts vary in vast degrees due to artist and audience profiles. Right Guard Security’s professional pit safety teams recognise the importance of crowd dynamics, crowd behaviour and altering circumstances that may require intervention. Our pit safety training is conducted by our sister training company Mission Training and accredited by Skills for Security. Our pit safety teams are tested and accredited to perform this vital safety function in crowd management. This comprehensive and accredited training provides reassurance to event organisers, promoters and performers who can rest assured safe in the knowledge that the enjoyment of the crowd will not be impaired as their safety is provided for. Our pit safety operatives can be uniformed to suit the profile of the event. Our professional security team are a reassurance to any crowd. Their primary focus is customer safety, monitoring crowd dynamics, crowd behaviour manual handling and first aid. To enhance the safety for all, we deploy operatives with our Body Worn Video Cameras (BWV) on specific operations to assist our clients and our SIA personnel. The BWV camera is an essential tool for protecting the modern door supervisor and capturing evidence as necessary.